I don't see any Nikon in that group. Still all speculation. I can do that too, it’s not uncommon for a manufacturer to produce a product that loses money for the purpose of gaining market share, boosting their reputation, compete in other areas, R&D for other products, or loads of other reasons. It often requires sales over time to really see profit anyways. Just like launching any new product or business. I worked in automotive and other industrial markets and you would be surprised what big companies do to their profit margins. You think a lot of the hybrids and electric cars were profitable? Supercars and sports cars? Business is a lot more complicated than most would think and individual product line profit margins don’t live in a vacuum or guarantee a return of profit at launch time or even the first year. There are way too many variables and metrics to make arbitrary assumptions based on the data shown. And yeah it doesn’t escape me that this websites purpose is to speculate and report rumors haha. Still, it's just basic math that a $1,998 has a better per-unit margin in dollars than a $629 one, since most manufacturers set margins to be a percentage rather than a number. Ahh, so like @transpo1 you also know the exact margins for all of the relevant products. Perhaps you can share the values that underlie your 'basic math'. Is a 'loss leader' part of your basic math? How does ROI factor into margin setting? Economies of distribution channels? More basic math. No doubt you've accounted for all of those. Sony abandoned DSLRs because they could not compete with Canon and Nikon. They shifted to a APS-C MILCS, a market segment where the two big players were not active, so of course they were 'more competitive' – that's easy when you're the only game in town. Then Canon entered the APS-C MILC market, and Sony added FF MILCs, again an area where Canon was not active...and again Sony was more competitive than...well, Leica also made FF MILCs LOL. Now, Canon is #1 in APS-C MILCs and has launched two FF MILCs. Sony is running out of market segments. 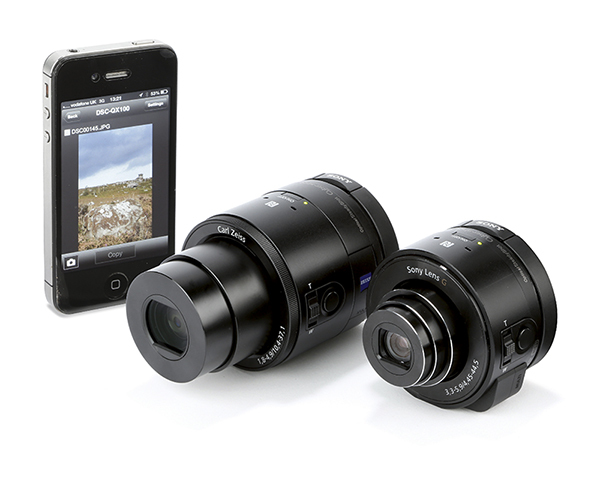 Yeah, but just wait until Sony launches cameraless lenses. facts about profitability from unit sales data!! Surely his/her next stop will be NASA or somewhere close by. They did...and they were a commercial flop. Sony is running out of market segments. That'd be very sad. I'm happy, in general, that Canon performs well. But as a user, I don't really care if M50 is #1 as I'm not buying it. As a consumer, I want to see competition on the market. I don't want to see Sony falling off the market. I want Sony to produce a very successful A7rIV (sometime this year hopefully) so that Canon tries to match it in their 5DIV-5DSr-successor. And if they don't match it, at least I have a choice, so it's me who benefits from this competition. Well, the reason is obvious. Nikon doesn't have any MILCs that would make it to the top-10 on a list like this. That is to say, crop sensor ones. That math is ridiculous. Based on the numbers, Canon sells five M50's for every a73. So Canon 27% of top 10 sales, Sony 25.3% and Olympus 19%. These are just one month figures but include some older cameras which is interesting as the Japanese used to like to purchase the latest hardware. I bet these three are not repeated in that order globally as Fuji seems to do better than Olympus in Europe as does Nikon. No doubt that the Canon RP will break into the top 10 but value zoom lenses are currently not in the RF lens series so adaptors are order of the day which is not ideal especially on a camera that has a small form factor. About the hypothesis that Sony makes more money by selling pricier cameras: Maybe that's right but in the 1990 there was a tale that Canon's high end systems were sold by a 0% profit margin (e.g. 2.8 300 lenses in white) while they made a lot of money with point and shoot cameras. And the most important base for profit has bin the office sector. I do not see any big difference in numbers of sold units nor net profit and the fact that Canon has only two different bodies in the race might be a hint that their profit per unit is good or very good: Scale of economics might work here excellently. I've not only used one, I have one in my kit complete with battle scars..
Sony has had a track record of flops/failures in the past. Look at memory sticks, betamax, aibo, minidisc, sony ericsson and mobile in general, DAT, ATRAC.. I think Blu-Ray was the only format that stuck (and Toshiba lost). Sony seems to enjoy pushing consumer electronics in uncharted territory and trying new things. But to give them credit at the very least, the creation of their semiconductor division has really advanced mobile imaging and sensors in the last few years and their persistent efforts amidst interim failures/confusion (A mount, E mount, FE mount confusion) in their camera division has been quite the media darling and either intentionally or unintentionally helped shape some of the way the industry moves. I, for one never expected Sony ever to have an AF system on par or possibly excel some of its peers. why? do they all use sony? I looked at the BCN site and can't find exactly where this info came from? I was curious about rankings outside the top ten. This may be the original data, but I don't see it mention the RP or anything else outside the top ten. I, for one never expected Sony ever to have an AF system on par or possibly excel some of its peers. Why? Was Minolta that bad in AF? it could also be a loss leader. The M series are very likely high in margin and % means nothing vs units sold. Good analysis. Still, it's just basic math that a $1,998 has a better per-unit margin in dollars than a $629 one, since most manufacturers set margins to be a percentage rather than a number. hard to say actually considering I do believe that Canon has more factory automation, and a huge economies of scale with the parts in the M50. so it's not basic math because you're not comparing apples to oranges.